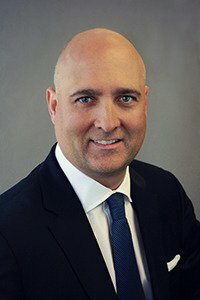 Travelink, American Express Travel, ranked #50 on the Travel Weekly 2016 Power List, is pleased to announce that effective immediately, Mike Viars has been promoted to the new role of President, Travelink Global Business Travel, reporting to company President & Managing Partner, Michael S. Dixon. This new role within Travelink combines the management of Business Travel Services, Employee Vacation Program sales, and Client Management. Mike will also continue to serve as the primary relationship manager for American Express Global Business Travel. Viars’ Business Travel Division accounts for 80% of the gross sales for the entire Travelink organization and he has been in leadership at Travelink for the past 10 years. Prior to Travelink, Mike spent 15 years in the Aircraft Manufacturing and Hi Temp Metals Processing Industry. He held Director Level positions in Sales, Marketing and OEM Client Contract Management in the United States and Europe.